On a February day in 1985, the Bay Area's most opulent mansion became a house of horrors. By the 1980s, the Carolands Mansion was in a state of gothic decay that you’d expect to find in the Deep South, not in an affluent enclave overlooking the San Francisco Bay. 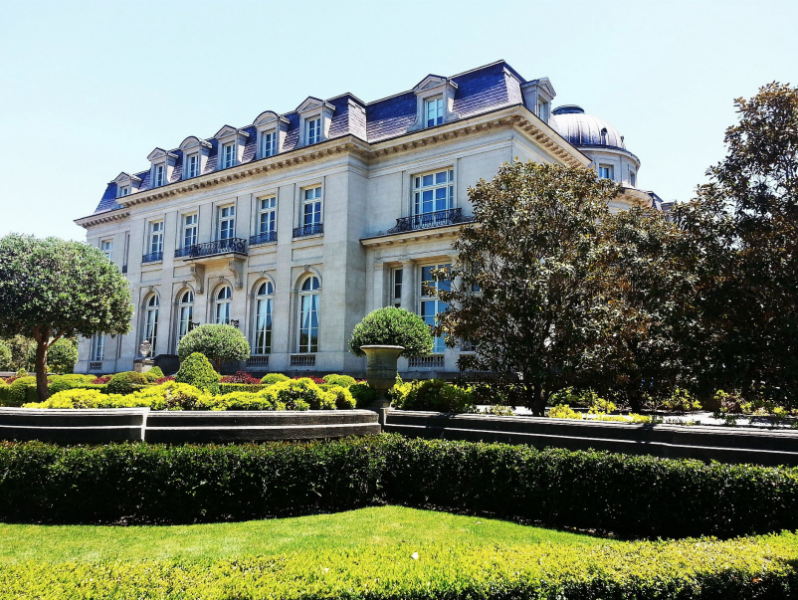 Only 20 years earlier, the 110-room Hillsborough chateau was occupied by a European countess and coveted by President Kennedy as the location for a West Coast White House. Countess Lillian Remillard Dandini bought the palace for a mere $80,000 in 1950. She died in 1973, leaving the estate to the town of Hillsborough for use as a library and arts center. Hillsborough passed it along to the State of California, and the state couldn’t give it away in 1975. The neglect, however, was just a sad prologue to the terrors that took place within the mansion’s musty walls 10 years later. On Feb. 5, 1985 Jeanine Grinsell and Laurie McKenna were driving through San Mateo County’s nicer neighborhoods looking for something to do. One of the Burlingame High students had heard that the security guards at Carolands gave unofficial tours, so they headed up the hill. David Allen Raley was the security guard on duty when the girls arrived at the mansion. He was a chubby man with a full beard and the beginnings of a unibrow who had a history of creeping young women out during his little tours. He told one woman how easy it would be to murder someone there, and made others scream their lungs out in a walk-in safe so they would know that no one could hear them. On that Saturday, Raley agreed to give Grinsell and McKenna a tour as long as they parked their car where no one could see it. “Sometimes the guards get sexual favors for doing this,” he joked. By the end of the walk-through, Raley claimed he heard police dogs and demanded that the girls hide in the basement safe so they wouldn’t get in trouble. The girls were hesitant. He promised he wouldn’t shut the door behind them. They relented, and got in the safe. He slammed the thick, metal door behind them. Grinsell and McKenna sat in the dark safe for five minutes before they heard him again. “Laurie,” he called out, in an eerie, singsong tone. He said he’d let them go if they took off their clothes. They stripped down to their underwear only to be handcuffed and led to workroom. Raley tied McKenna to a workbench, and dragged Grinsell away. McKenna sat helpless as she heard her friend’s screams echo through the bowels of the mansion. After sexually assaulting both girls, Raley promised to let them go. This promise was only as good as his previous ones. Raley beat Grinsell with his nightstick for several minutes. She somehow survived. He stabbed McKenna in the stomach. She fought back. He stabbed her 34 more times, but she still lived. Before the end of his shift at 4 p.m., Raley locked the women in the trunk of his 1973 Plymouth until his boss showed up to relieve him. The supervisor didn’t get there until 5:15. Raley tut-tutted his boss about being tardy and then drove off with a trunk full of bloody teens. He drove for over an hour until he got to his house in South San Jose and parked his car in the garage. Grinsell and McKenna were still alive. He gave them a sleeping bag to keep warm, and warned them his friend Bob would shoot them if they made a sound. There was no friend Bob. Raley spent the evening in the house watching TV and playing monopoly with his sister like it was any normal night in the burbs. McKenna and Grinsell faded in and out of consciousness as they slowly bled out in the trunk. Raley went to check on them several times. His father and sister never got suspicious of what he was doing out there. The women were both still alive when Raley drove them out to a then-rural stretch of Silver Creek Road and dumped them down a ravine. McKenna waited in the cold creek bed at the bottom of the drop for hours, fearing that Raley was still stalking them nearby. It started to drizzle. With her hands cut badly, she climbed up the muddy and trash-strewn embankment using her elbows. She made it to the top of the incline and lay by the side of the road. Three cars passed her without stopping. Finally, two men in a pickup truck stopped and called an ambulance. One of the men tried to hug McKenna. She did not want to be hugged. Laurie McKenna survived her own murder. Jeanine Grinsell did not. She died on the operating table from 41 stab wounds and a fractured skull. 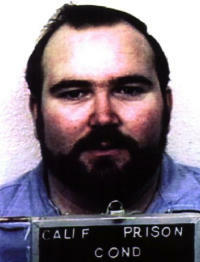 Raley was sentenced to death in 1988. He exhausted the last of his appeals in 2014, and currently sits on San Quentin’s Death Row.